Arthur Eaglefield Hull (1876-1928) was a British author, editor, and composer. A student of Tobias Augustus Matthay and graduate of Oxford, he went on to become editor of the Monthly Musical Record, Dent’s International Library of Books on Music, and many other series. He also founded and participated in several British musical organizations, and was an active figure in the musical culture of Yorkshire and his home, Huddersfield. According to Baker’s Biographical Dictionary of Musicians, Hull was accused of borrowing a number of passages from other authors for his 1927 work, Music: Classical, Romantic and Modern. Be it plagiarism or a failure to cite his references, the whole affair left Hull distraught, and he committed suicide the following year, throwing himself under a train at Huddersfield station. Hull’s contributions to music and music literature should not be overlooked, however. He left behind numerous, respected writings, arrangements and editions, and even original compositions such as his Prelude, Berceuse and Rêverie for organ. 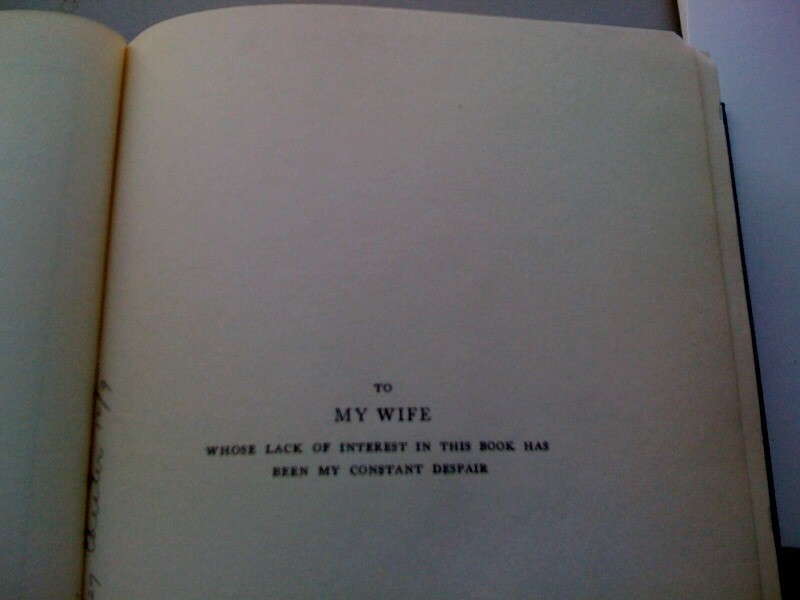 The dedication on Hull's offending volume. From Sibley Library's copy.